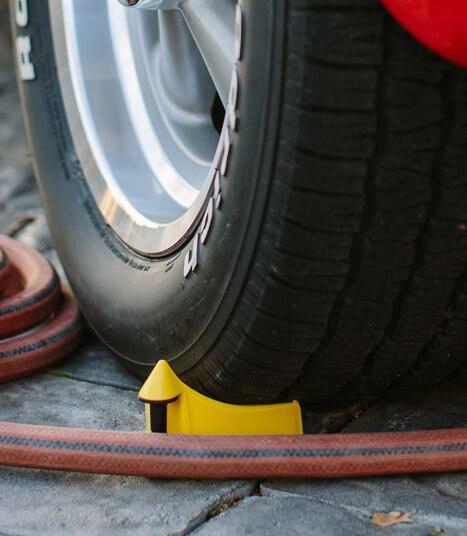 The Detail Guardz Tire Jam Eliminator 4 Pack allows for easy use of your power tools or garden hoses, without the risk of tire jamming! When washing with a hose, using a polisher, sucking up contamination with a vacuum, the one thing in common is you are always changing positions and moving around the car to catch every nook and cranny. 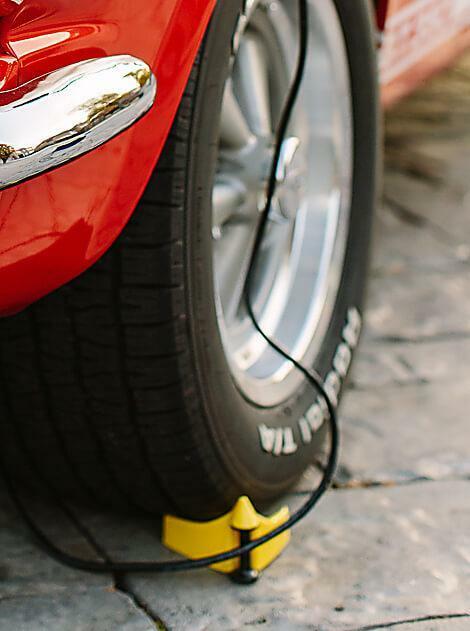 There is however one issue that always seems to happen at the worst time, the cord or hose jamming underneath the tread of the tires! The cord literally locks up and you have to walk around the car, pull the cord or hose out and re-maneuver it so that you have the correct length at your disposal to keep working. It is such a frustrating problem, but this problem now has an easy fix. 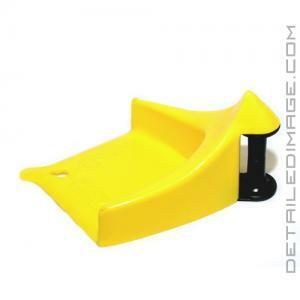 Simply slide the Detail Guardz Tire Guard underneath your tires and push so it snaps against the tread. This unit is made of high quality heavy duty polypropylene and the patented rollers allow for smooth maneuvering of your hoses and cords. 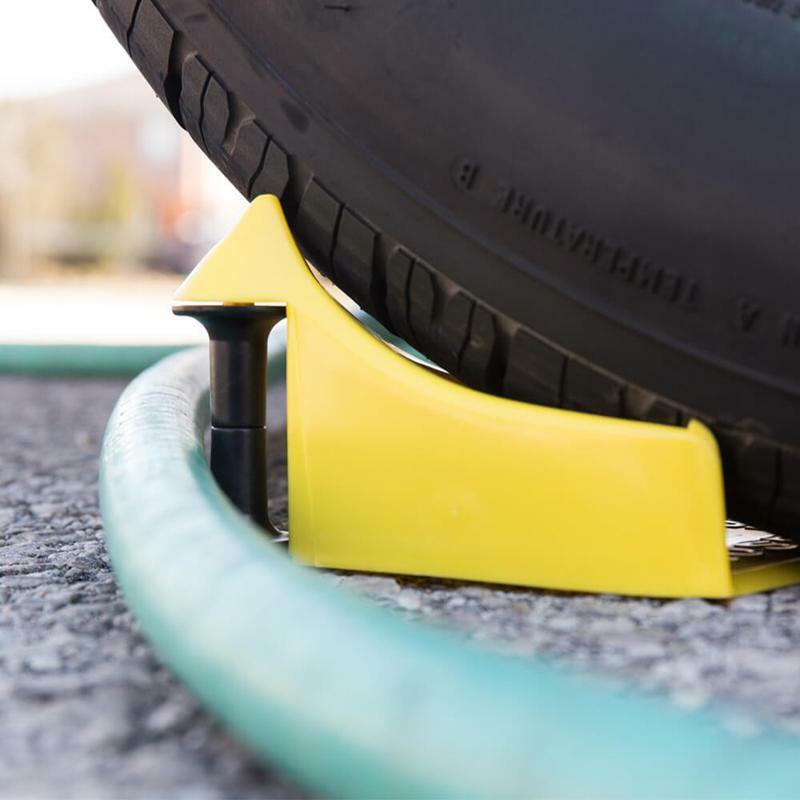 You won't ever have to deal with a hose or cord jamming under a tire again, which saves you valuable time and cuts down on frustration during the detailing process. 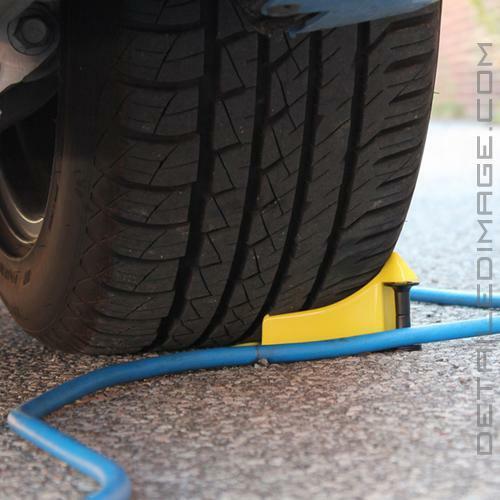 Grab the Detail Guardz Tire Jam Eliminator 4 Pack today and stop annoying cord jamming at the source! Note: On 6/13/17 Hose-eez changed their name to Detail Guardz and added a few upgrades to their Tire Jam Eliminators. These upgrades include an extended base & tab, to grip lower profile tires even better. Ridges were also added along the base, to further enhance the gripping power. According to Detail Guardz, after finishing up the testing process, they have seen about a 20-25% increase in locking capabilities. These upgrades really help keep this unit in contact against the tire while you work. 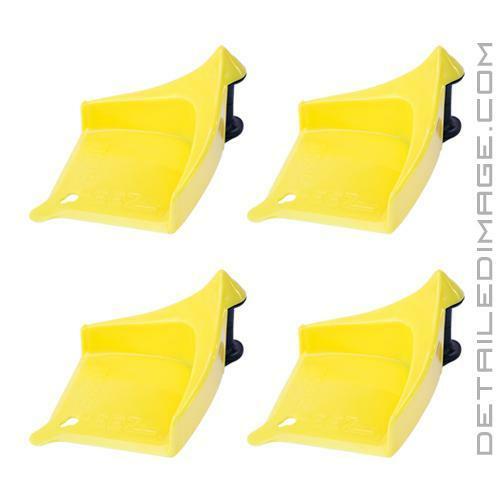 If you detail your auto or just wash your auto you NEED THESE. 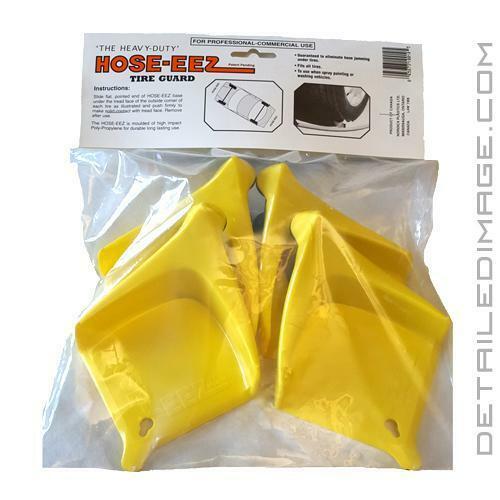 I bought these to replace The hose slides I previously had, as I ran over them. But the Detail Guardz are much better due to the wheel on the back of them. 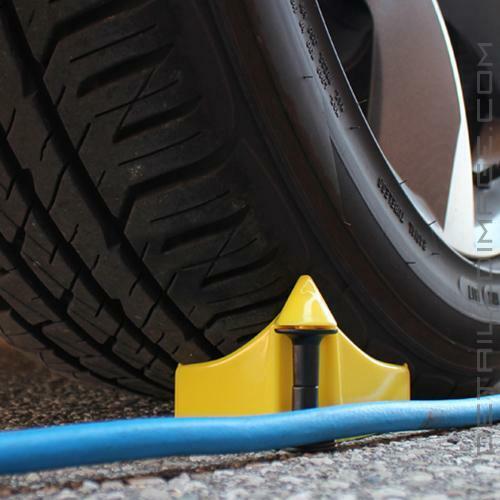 It allows the hose or electrical cords go by the tires smoothly. Only con I have is that they sometimes don't lock in place on certain tires due to the way the tire is designed.